Yup, I’m back again with another list of black social media influencers. Of course, like last time, I have some things to say before I post this list of very qualified people. 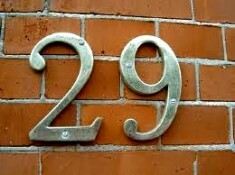 Why 29? The first time I did this I wanted to find 50 people to create my list. However, once I got started I found that the search was more difficult than I had expected it to be, and thus I could only come up with 21. The search was difficult this time around as well, but mainly because I pumped the parameters up a bit. Once again I had my set of rules, and this time I stuck with them. I used Klout to help me select people and the lowest Klout score I was allowing was 60. Also, every person had to have a blog, and I had a couple of decisions to make about that. One, About.me isn’t a blog but more of a resume service, if you will, so I excluded those. Two, I don’t consider Tumblr a blog either. I’ve never seen anyone use it as a blog, but as a place to put a lot of pictures and quick thoughts. Sorry, that’s not really blogging, per se, although a couple of blogs here that deal with fashion have lots of posts that are mainly photographs, but some of their posts are actual posts as well so there’s a differentiation. I also included blog platforms I don’t particularly like, which I did last time as well. However, sticking with my own rules about the types of blogs I won’t subscribe to for new folks, it means some of these folks I only follow on Twitter. Four, no “real” celebrities. That sounds odd on the surface until you see one of the names I put on the list who’s kind of a celebrity and kind of not, at least at this juncture of his life; Hey, I got to make the call, right? And five, I stuck with my rule about no group blogs. At least I don’t think any of these are group blogs. They can be business blogs, but the idea was to highlight individuals, just like last time. I will say this. The previous post got a lot of response, and I was happy about that. It was great finally giving a group of people largely ignored some well deserved press. I hope it goes as well this time around but truthfully, I’m expecting it to drop off. That’s too bad, but history shows that the first “Dream Team” always outperforms the second Dream Team, even if the players are just as good. But who knows, since Ileane will probably help push this baby strongly; after all, many of the people on this list are on a list on Twitter she created and talked about in a comment on the previous post, Black Social Media Heroes. Writes about the happenings around Washington D.C.
Great list, noted some of them and even added a couple to my google reader. So thanks for the share, oh yeah, you forgot yourself! Cristian, I can’t go around putting myself on lists now. lol But I do hope you check some of these folks out. You know I loved that first 21 Black Social Media Influencers post. 🙂 I met some really neat people as a result of it and the subsequent comments. Let’s see, from that list I met (and now interact regularly with) Fields Jackson Jr (@fleejack), Beverly Mahone, Shallie Bey, and Marlee Ward (@marldble). Unfortunately, a few of the other folk turned out to be unresponsive, igged you on tweets and comments … can’t win them all. And of people on your new 29 Media Influencers list, I know Rohan (@365thingstododc) courtesy of GrowMap, and Tami Highbaugh @AriesGDIM and Rosetta Thurman as a result of Ileane’s #BSMHeroes Twitter list. I encountered Adria Richards a long time ago (couple of years?) when searching for a tech answer and found a very useful tutorial she’d written. You’ve given us bunches more folk to check out, maybe follow, and get to know. Thanks for those 4 tough hours! Thanks Vernessa. I went back to the last post to see some names that had been recommended to see how well they ranked and most are included on this particular list. I’m glad to do it and bring new people to the attention of other bloggers, and that makes me feel pretty good. A lot of people on the first list at least stopped by and said something, but you’re right, after the first connection there wasn’t much after that. But that wasn’t the intention anyway; I had my reasons for doing it, but the reason wasn’t necessarily to make more friends, but to try to honor the group. But there were some good people as well, and I think this list has some good people too. And they’re all accomplished, which means that there’s a lot for people to see and learn. I’m sure you’ll meet some great people this time as well. Nice one Mitch, I will check the list now, quite interested in tech and marketing related blogs and I already spotted few. Quite impressive get more than 20 uniques to one of my websites from one of this tech blogs, again excellent sharing Mitch, blogs are very high quality. Thank you much! I am honored to be in the company of such amazing people and to be listed by you. Thank you so much Mitch! Glad to have you on the list, Anise. Definitely deserve to be there. Oh Thanks for the shout out Mitch, much appreciated. I’m about to go through and meet as many of these folks as I can. Glad to have you on the list, Rohan; you’ve done well. Thanks so much for the inclusion. Many of these I already have on my #BLKMM twitter list, the rest I will soon be adding. I have already shared this on Facebook and Twitter. You Rock Mitch! Oh and welcome to “Geeks with Swag”! Thanks Tima, and I’m glad you’re on the list as well. Amazing how names come to you once you take a first step, which was why I created the first one. I hope this one does as well. Thanks for including on your list Mitch. It is greatly appreciated! No problem Brent; I hope it works out well for you long term. Pretty long list. Thx for sharing this. Will take time out to see these. Ooh! interesting that there is someone who really takes his time and effort to create such list. Will be taking my time as well to check them out. Awesome job done,i really admire your great efforts for putting this list over here for us,i have checked 5 links from the top of this list while commenting here,i am pretty much excited to check all of them right now.Thank you for sharing this great black social media influencers list. Another Top Influencers List…alright now! I must admit I don’t know a single person. But like Vernessa, I met some AWESOME folks from your first list and, yes, there were a few ARROGANT ones that I think shouldn’t have been on that list. I reached out to a couple who didn’t give me the respect to respond. That just tells me they are about being an “Influencer” but not ENGAGING. LOL! Thanks Bev, and I do know that some of the people on this list are very nice people indeed. I think overall that the effort I put into it shows that there are black people doing some good things in social media. True, it took some effort, but the reality is that there are a lot of folks whose Klout score was actually high enough to be on this list, but they didn’t fit my criteria of having a blog. It would have taken me a lot less time if I’d just taken anyone with a high Klout score, but in my mind you’re really not relevant in social media without a blog, which offers people the best way to learn more about you and to talk to you. And that’s the part of engaging that I feel needs to at least be a part of it all. Let’s see how many folks we all get to meet this go-round. Ha Beverly, bet if you reached out to me, I’d 100% respond. Matter of fact, I’ll hit you up on Twitter now. I absolutely love connecting with folks. Thanks again Mitch for throwing me on here. Too Awesome! I started visiting each post and I realized I need to create a new group in my Google reader for Social Media Influencers. There’s a lot to learn from these leaders and I will subscribe to each one. Thanks for putting it all together for us Mitch. Brain, it was a labor of love, this one and the original list. And making sure everyone on the list had a blog was really important to me so people could talk to them. Awesome list Mitch! I took the liberty to subscribe to their rss feed. I love the resources and ideas I got from visiting each of them. Good deal Mika; glad to share these folks with you. Glad to have someone with your credits be a part of the list and I hope it helped to give you a bounce. Thank you so much for including me in this list. I’m honored. No problem Miranda. You fit the qualifications, of which you should be proud. I hope your blog gets lots of visitors from here. I’m currently checking these sites. and so far I’m enjoying the journey from one to the other! thanks for the shout out much love! Wow. What an honor to be listed here. I saw the referral come into my website this morning and just had to come check it out. The fact that I found your site indicates you have created a great list that people are taking advantage of. I’ve also got a weekly webinar series on my system called ‘Online Marketing Mojo” that you are invited to watch Mitch. I’m trying to figure out how I missed your comment on this post Patrick, but I’m really glad you left one and I’m glad you got to see your name listed as well. I hope you’ve been checking out my Friday series called Black Web Friday lately, as I believe tomorrow (later today) will be my 10th installment. I had not but I’ll start paying attention. Keep up the great work.